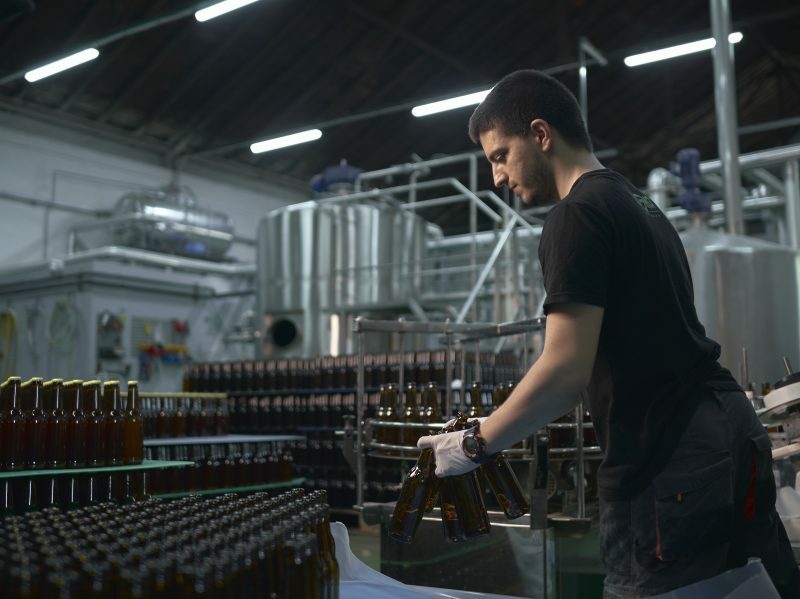 One of the most rapidly growing independent industries in Serbia is craft beer production. Ever since Kabinet, Serbia’s first ever craft beer brewery, opened in 2014, the scene has grown exponentially every year. At about the same time, the first beer bars catering to a non-industrial beer scene started popping up in Belgrade. The first was Samo Pivo, then Miners Pub, then the beer store/bar Pivopija in Zemun. Dozens more quickly followed. Then breweries started cropping up. With the craft beer culture in full swing, there are now breweries located in the city that have tap rooms or adjacent bars attached to them. Here, fans of independent beer culture and come and sip the suds right from the source. The most accomplished establishment of this type is without doubt Dogma Brewery. One of Serbia’s most popular microbreweries, Dogma has grown fast over the last two years. It also has the most impressive tap room in Serbia. Located across the highway from the popular Ada Ciganlija city beach, Dogma’s brewery is a converted warehouse that can easily be mistaken for an American craft brewery. The interior is well executed; bare brick walls and wooden tables and seating complete the “rustic” look. The best thing about the taproom is that a glass wall separates it from the actual area where the beer is being produced. If he is around, Dogma’s co-owner and head brewer, Vladimir Stojkovic, will be happy to give you a tour of the facility. Obviously, all of the brewery’s beers are available on tap or in bottles at the bar; the tap room even has a kitchen. Typical bar food is served – burgers, sausages, ribs. The food is just as good as the beer. While no other breweries with taprooms are quite as impressive as Dogma’s, others are definitely worth a visit. One is Kompas, in Vozdovac, a bar that serves its own homemade beer. While production here is on a smaller scale than Dogma’s, it’s a great “off-the-beaten-path” place to visit with an excellent vibe. What is also interesting is that the brewery is owned by an American ex-pat, Jason Paul, who came to Belgrade after getting married to a Serb. You can sample the high-quality California-style IPAs and lagers at Kompas that are Paul’s personal recipes.